Kids need space to play and when that play happens inside an imaginary world they’ve built themselves, then it really captures the essence of childhood. Bildy facilitates this need with their grande scale modular construction toy that provides limitless opportunities for play. Bildy comes as a set of heavy-duty greyboard panels that are brightly coloured and illustrated. Connectors hold the panels together to form the various different structures. 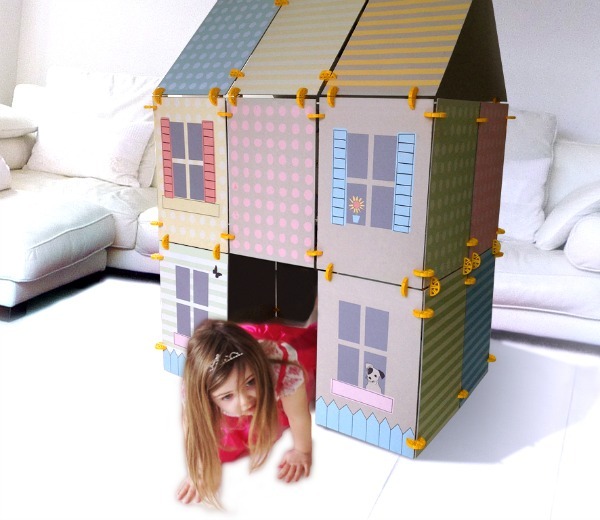 Children can build a fort, house, tunnel, car or rocket ship big enough to fit inside. The structures are easy to make, easy to rebuild into something else and even easier to dismantle and store away for another day. The best thing about this toy is that building is only part of the fun, using it adds a whole other learning and playing dimension. While construction requires problem solving, fine motor skills and spatial awareness, playing in it brings out imagination, roleplaying and experimenting with social and emotional roles in life. Right now though, Bildy itself is in the construction phase. Creator, Jayne Bromfield, has huge plans for Bildy and is using Kickstarter as a launching pad to make it all a reality which means you can help it come about. You need to get on to it quick though because your opportunity for pledging closes on November 26, 2014. 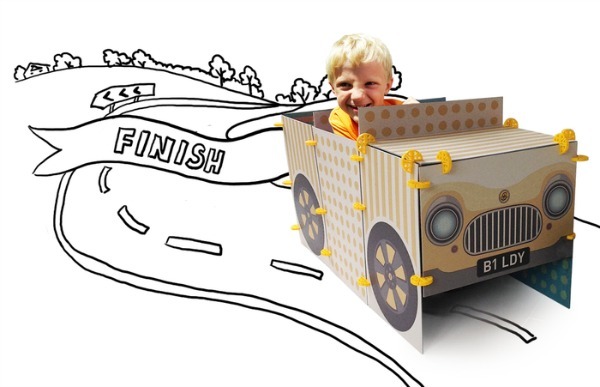 Pledging a donation to Bildy on Kickstarter means that you can be one of the first people around to receive this creative construction toy plus you’ll get the satisfaction of knowing that you helped the design and production process of something totally new and innovative.